Hi, I have the same problem we had to solve last year. 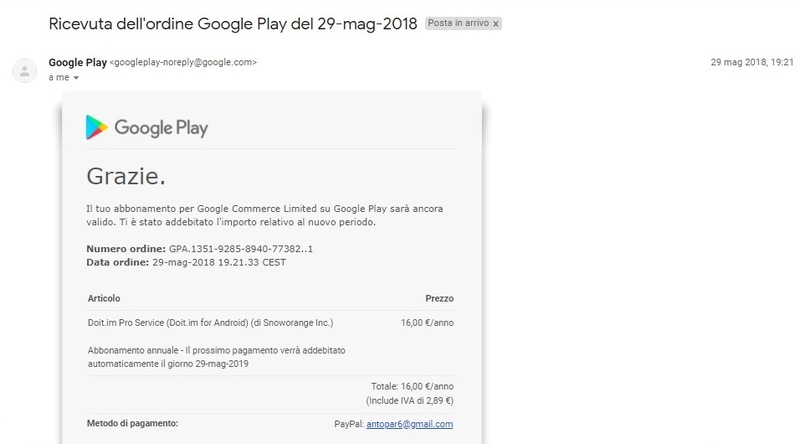 On May 29, 2016 I purchased a Snoworange subscription on Google Play for Doit.im Pro Service (Doit.im for Android). 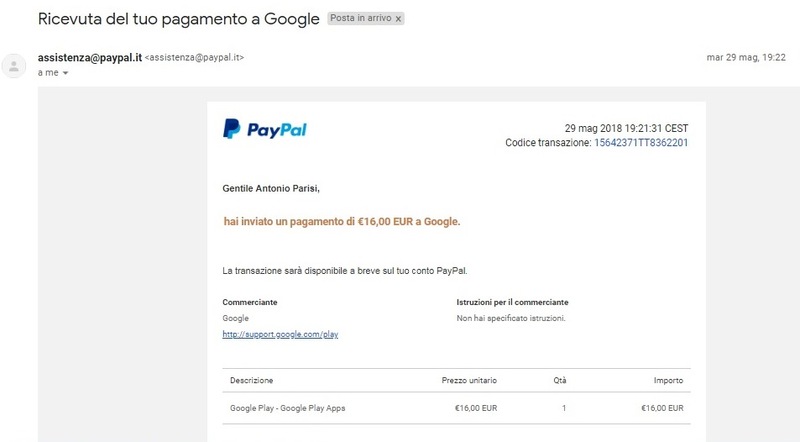 This year the payment has been regularly made by PayPal on May 29, 2018 but, as happened last year, the pro version is no longer working on my smartphone and on my computer with the following message : "Your Pro account has expired. Please renew to enjoy better service". Below the payment details from the enclosed e-mails. @anto_prs You're welcome! If any further questions, please feel free to contact us.